Built with powder coated high load steel, the MPG318 is a three boat self-standing boat storage rack that is easy to assemble and will last for years. 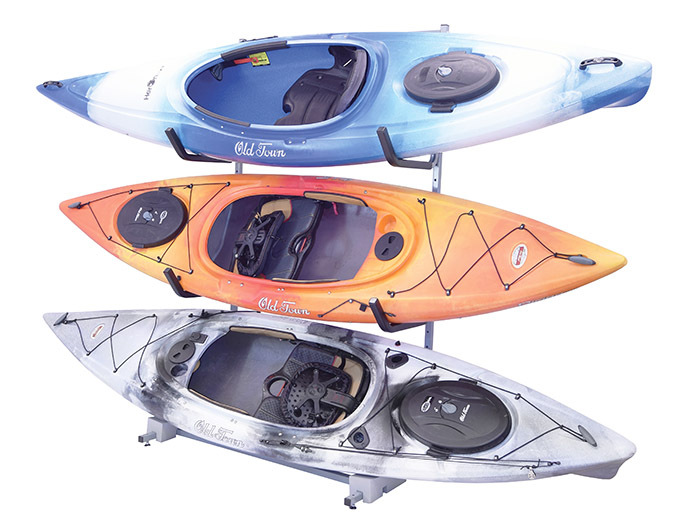 Fully padded J-style Holders gently protect the kayaks from abrasion and hull distortion. 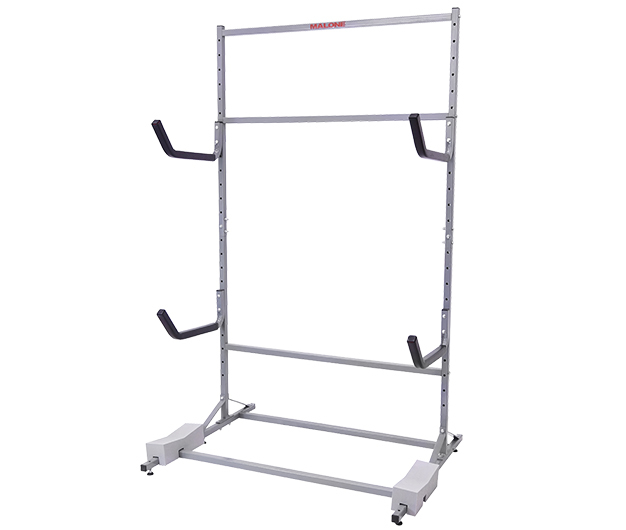 See FS Rack™ A-la-Carte section for additional accessories that can be used with these racks. Each system comes complete with Base Frame, all required mounting hardware, MPG320 J-style Holders and lower frame kayak blocks. Install in the garage or on the dock near the water. Includes fully illustrated assembly instructions and a Limited Lifetime Warranty. Two sets of MPG320 J-Style padded holders.